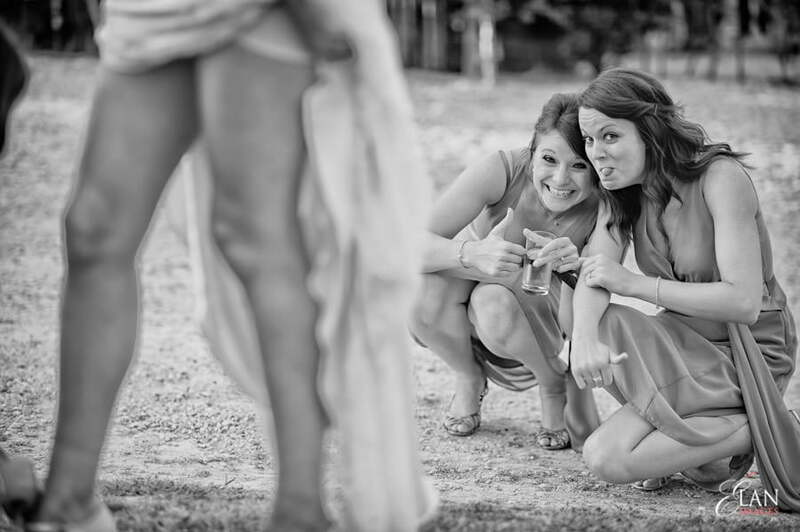 During the creative portrait time at their wedding at Stone Barn, I caught these two cheeky bridesmaids having fun at the expense of the Bride and Groom! Amusingly I later photographed the wedding of the left hand bridesmaid in Spain! You can see highlights from their wedding at Stone Barn here. I few seconds before this first photograph was taken I also shot another of the groom pulling off the brides wellington boots! – this one received an international award from Fearless Photographers and the ISPWP!